The Rum Authority is dedicated to demonstrating Rum’s universal appeal to both the novice and expert alike and to making the case that Rum deserves to be included in the company of the world’s most hallowed spirits, such as Scotch Whisky, Cognac, Tequila, Bourbon, Gin and Armagnac. Because The Rum Authority is completely independent, credible, and authoritative, the message we bring does more for Rum than any Rum brand can hope to achieve on its own. The Rum Authority is the critically acclaimed, independent Rum advocacy initiative sponsored by Spirit Journal, Inc. and supported by Rum producers, who are referred to as The Rum Authority Members. 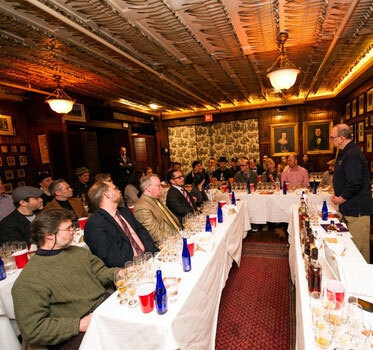 Through schedules of dynamic educational seminars operated across North America, a dedicated website and social media outreach, The Rum Authority brings due respect to the Rum category by making the case of Rum’s singular role as a world-class adult beverage of unrivaled pedigree and versatility. We are an independent voice.